Rux Martin/Houghton Mifflin Harcourt, 9780544535558, 288pp. DAWN JACKSON BLATNER is a registered dietitian and certified specialist in sports dietetics. 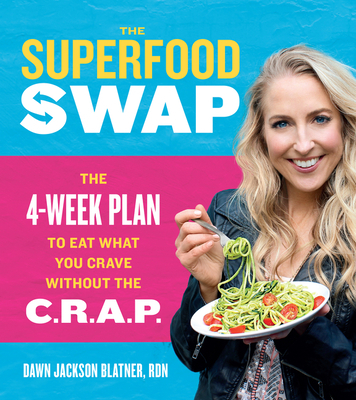 She is the nutrition consultant for the Chicago Cubs, blogs on food and nutrition for Huffington Post, sits on the nutrition advisory board of Shape magazine, and creates recipes for Fitness and Vegetarian Times. She recently received Lifetime Television's Remarkable Woman Award for her work. She lives in Chicago.